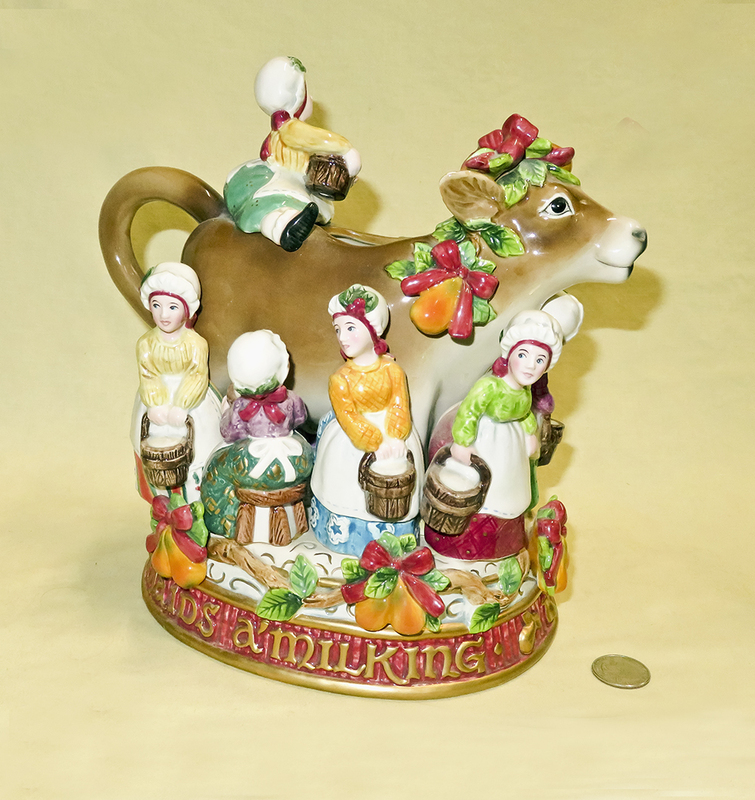 I don't have a lot of these, but they become very special at a certain time of year, and leave their normal shelves where they mingle with the rest of the herd and assume places of distinct importance. 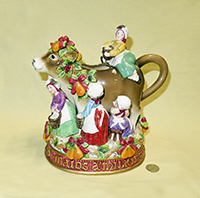 This beautiful pitcher of “Eight Maids a’ Milking” comes from Fitz and Floyd’s Circa 2000 collection, “Twelve Days of Christmas". It often becomes the centerpiecs on our Christmas table. 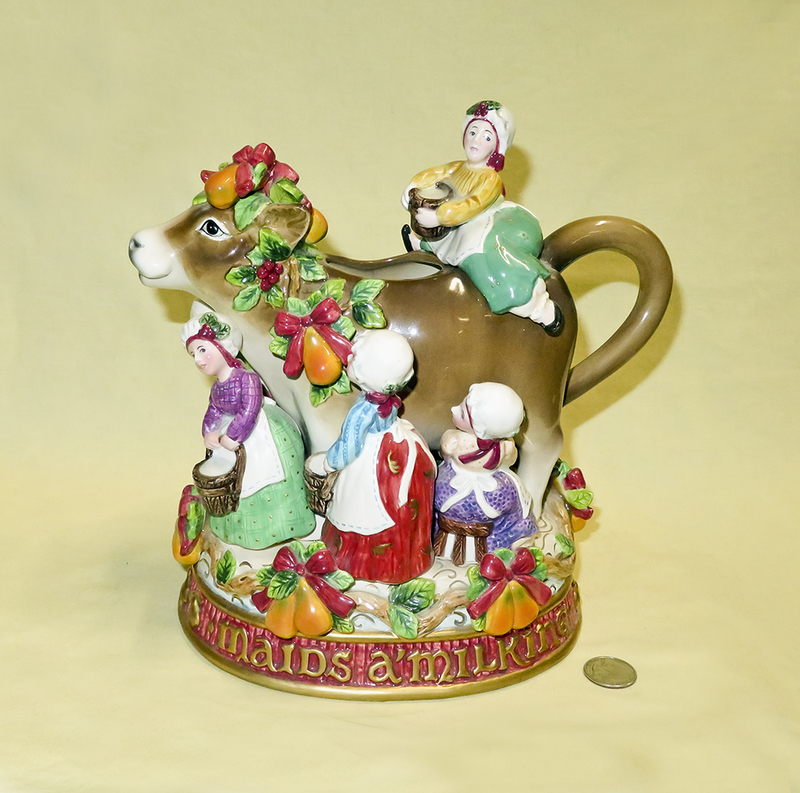 and here are various other Christmas teapots, mostly featuring Cows in the role of reindeer. 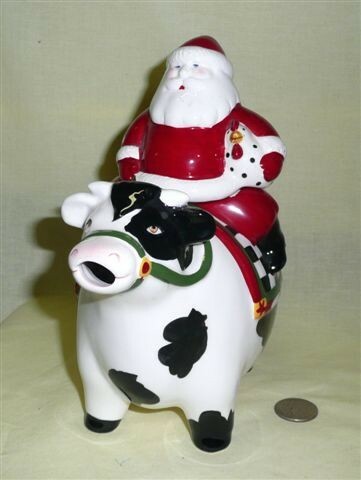 This one puzzles me…why would Santa be carrying a chicken? And why might his fat steed have 6 teats? Somebody had fun dreaming this one up. 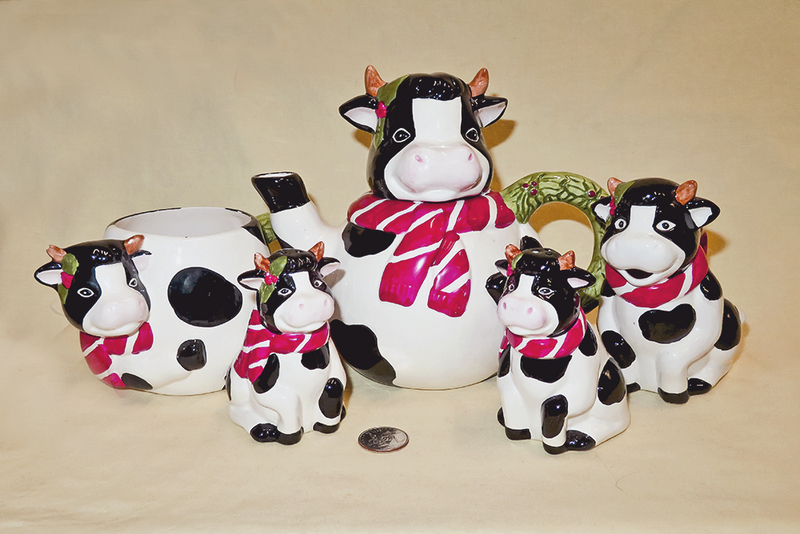 Here’s a cheerful Christmas tea set, complete with salt and pepper shakers. 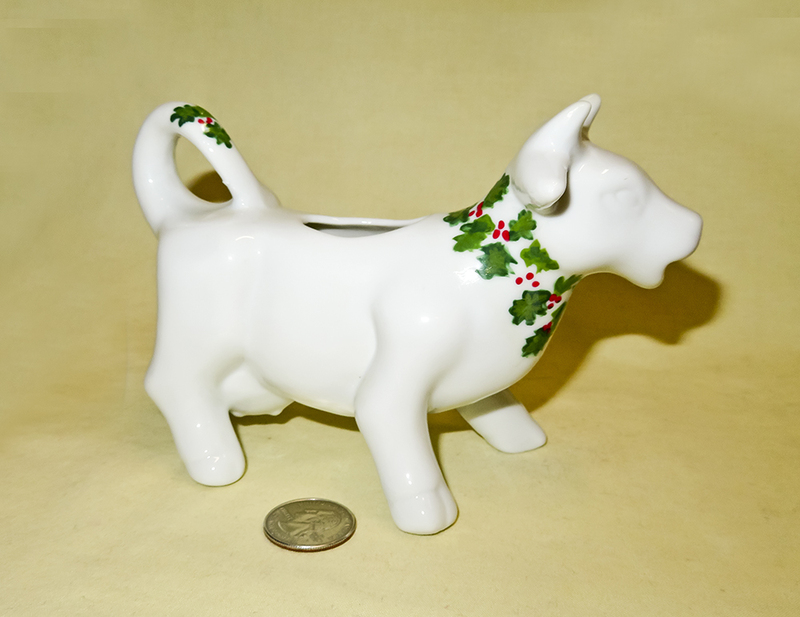 This started life as a plain white creamer, then the seller had fun adding the holly. 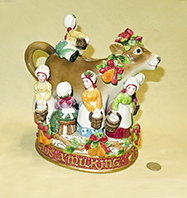 Here is a simple but sweet Christmas 2014 contribution from Lenox. 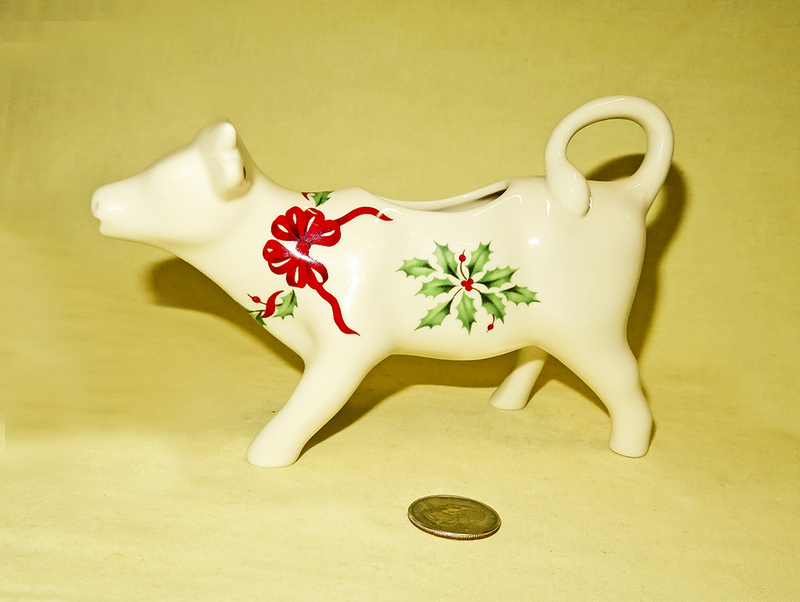 Here’s a Polish “Manufaktura w Bolestawcu” contribution to the Christmas cow collection. At least Christmas was how it was advertised and I guess the garland and little stars are sort of holiday-ish. 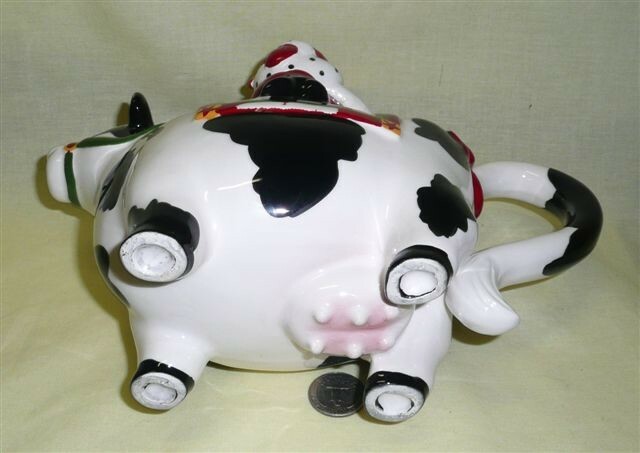 Starting around 2014 these Polish cows became quite readily available in the US in a wide range of decorations, along with a lot of other Polish ceramics.